The goal should be creating a heart-shaped or kiwi-shaped face while maintaining the original balance of the facial features, but not creating an inverted triangle. If you focus on creating a sharp chin, it could lead to an elongated face where the forehead and cheekbones look more pronounced than desired (Image 5). Image 5. Heart or Kiwi shape. Along with the frontal face, the profile of the face also needs the right amount of concavity and convexity. This does not mean you need to focus too much on angles or numbers. The goal should be to crate the ideal 4S lines; forehead to nose, nose to lips, lips to mentum and the ogee curve that forms in a smile over the frontal cheekbone (Image 6). Image 6. Facial 4S lines for ideal facial profile. To achieve this, use fillers with different consistencies as suitable for each facial area to create different densities in soft tissues. For example, firm filler injected into the subSMAS (superficial musculoaponeurotic system) layer increases the density below SMAS and when the tissue expansion occurs, the SMAS is pushed upward. 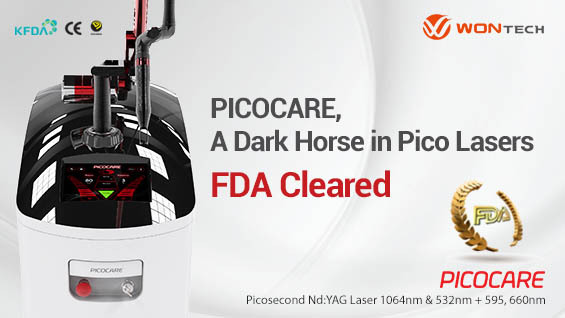 In response to this tension, homeostatic function of surrounding connective tissue leads to skin stretching and lifting effect. I call this technique “SMAS Tightening Technique.” Injecting relatively firm filler into the subSMAS space leads to SMAS tightening from projection and this tightening effect pulls on the surrounding tissues. 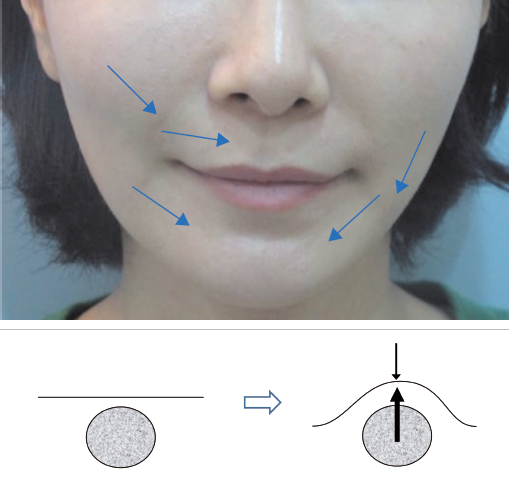 I have paired treatment site and adjacent areas that experience SMAS tightening and lifting effect as following; anteromedial cheek injection – nasolabial fold tightening, nasolabial fold injection – upper lip lifting, buccal cheek injection – lower lip lifting, prejowl injection – mentum lifting, and lateral cheek injection – jawline lifting (Image 7). Image 7. Mechanism of the SMAS-tightening technique. These effects are possible because anatomically, SMAS lie over the facial bone in different depths and the skin is attached to the SMAS and is influenced by the change of the SMAS layer. Moreover, as I have discussed in the previous cadaver study using gelatin, facial soft tissues are divided into superficial and deep fibroadipose connective tissue layers. These two connective tissues take on different behavior and shape based on how they are influenced by the SMAS. Injecting fillers with different viscosity and elasticity in varying amounts in these two layers can bring desired volumization with smiling and lifting effects (Image 8). Image 8. Injection of 2gels with different properties.